A family stitched together with love, seldom unravels. My first WIP Wednesday… normally, I post projects once they are completed, but it seems as if I’m not completing much these days. Well, that’s not really true – we made it through my daughter’s wedding and that was a huge project. But quilting projects are stalled at the moment. I am working on designing, but the sewing is stalled due to waiting for coordinating fabric to arrive or waiting for the inspiration to strike. And rather than show all the WIP’s I have because that would be too overwhelming for the both of us, these are the ones I hope to have completed in the next 4-6 weeks. That’s a good goal, right? 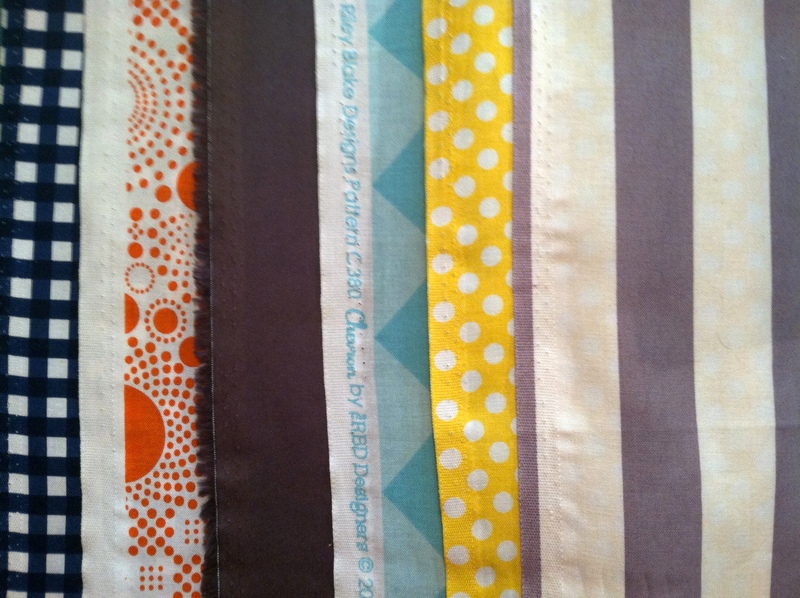 Then I am doing the Riley Blake challenge through the Modern Quilt Guild. 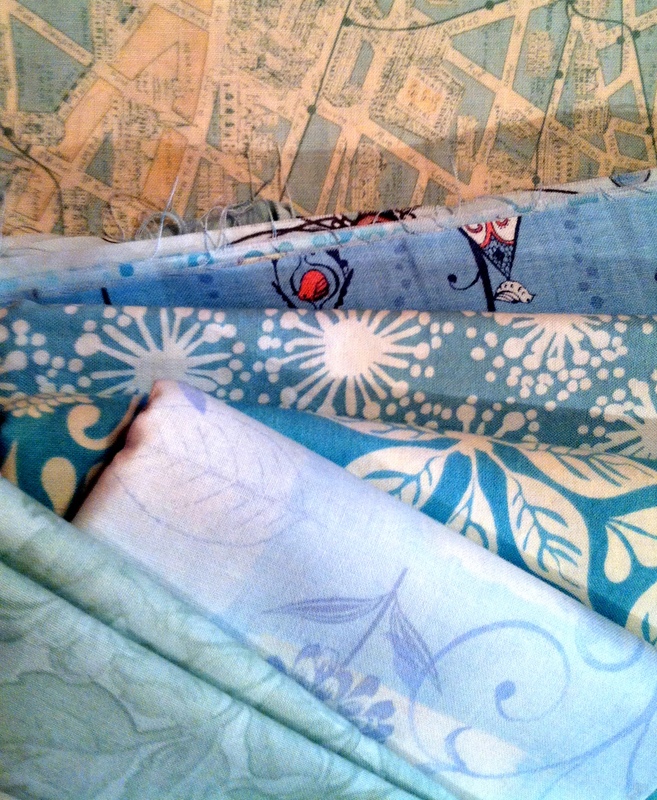 Here are the fabrics — we were given 6- fat 8ths. 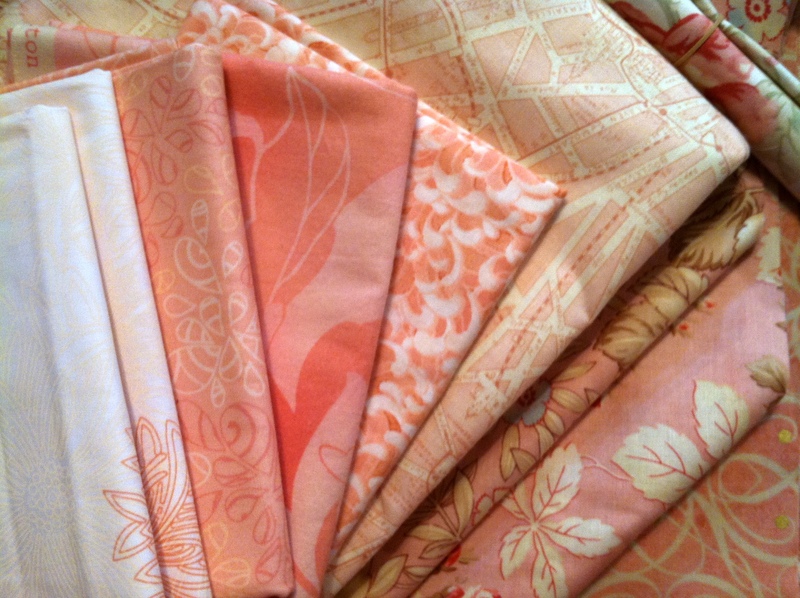 The challenge is that you can only use other Riley Blake prints or other solids to create something quilted. I’m thinking a baby boy quilt with large blocks and a modern arrangement. Something easy and quick to put together. Last but not least, and likely the one I will actually finish first… a friend has asked me to make 2 baby blankets for a niece that is soon due. 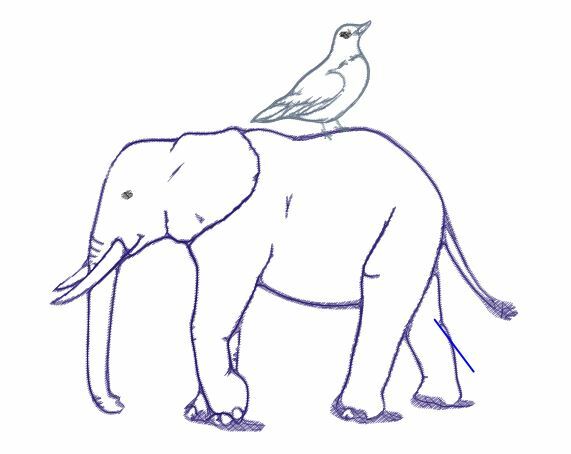 She wants an embroidered elephant with a bird on its back. So I’ve been working on digitizing the design in my “super expensive that I will probably never get’s my money’s worth out of” software. Every time I try to do something in this digitizing software I feel like I’m having to learn it all over again. One day I’ll gain a comfort level with it — I’ve only had it 1-1/2 years! Haha… But the more I use it, the easier it will be (at least that’s what I keep telling myself). Right? So, that’s it. These really are my quilting goals for the next 4-6 weeks. I’ll probably rearrange, and likely add more to it, but here it is for this moment in time. What are you working on? Do you tend to have more than one project in progress like I do? Linking up with Lee at Freshly Pieced for WIP Wednesday. 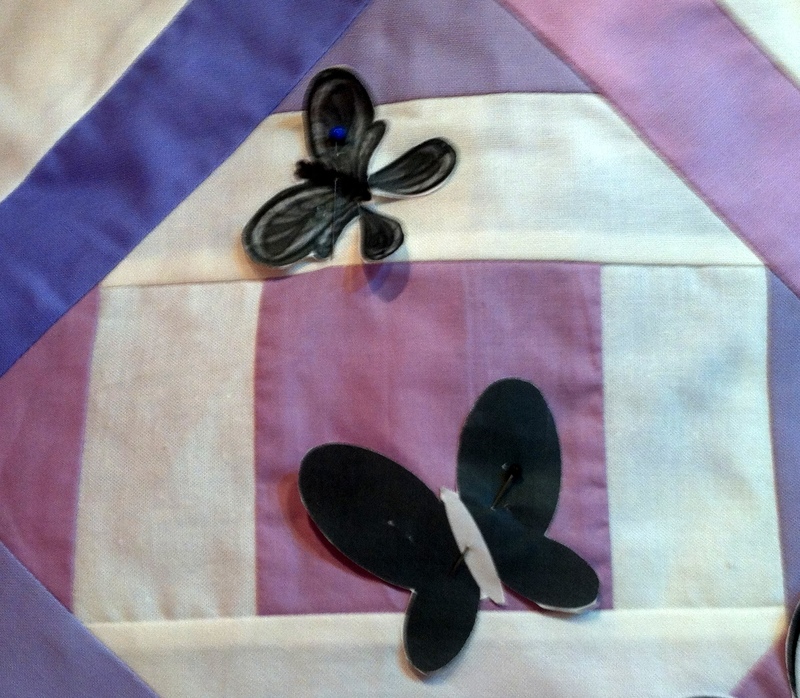 This entry was posted in Quilting/Sewing and tagged bird, butterfly, challenge, design, elephant, original, quilt, quilting, WIP by monkeyneedle. Bookmark the permalink. you have an ambitious list ahead of you, a challenge that certainly looks like alot of fun! My first visit to your blog, I will try to come back again to see your progress! I do have an ambitious list, don’t I? I hope I can get through it all. A quilt retreat next weekend will help. Please do visit again. Oh, those photocopied butterflies? Thanks! Converting them to fabric is a goal in the finished product as well. 🙂 Thanks for visiting. Thanks for visiting. Hope I am able to get it all done.